Business line of credit differences are fundamentally whether there exists a type of guarantee to the lender. Your business needs both liquid capital (cash) and access to a line of credit to support its future growth. There are two types of business line of credit, secured and unsecured, each with their advantages and disadvantages. Once your business has been approved for a line of credit, your business will be able to borrow cash when needed with no additional paperwork. Your business situation will likely determine which type of business line of credit is most advantageous. A secured business line of credit requires that the business provide the lender some type of collateral (asset) to offset the risk. The lender can put a lien and legally acquire the collateral in the event your business defaults in payment. The lender can then sell the collateral to recoup any losses. As a result, a secured business line of credit is a lower-risk for a lender and will offer your business more favorable terms (interest rates and fees). Many consumer loans are secured by some type of collateral. Examples include a traditional house mortgage loan (with the house being the asset) and a car loan (with the car being the asset) pledged to the lender. Since these assets are of high value, the lender offers these types of consumer loans at low interest rates. For your business, the collateral used to secure the business line of credit may be a building, real estate, equipment, inventory, personal savings, Certificate of Deposit, house or auto. Greater flexibility due to higher amount of credit issued by lender. More affordable due to lower interest rates and lender fees. Easier for a business with poor credit history to obtain. A business (or owner) must have valuable assets to pledge to lender as collateral. The higher line of credit can increase the business risk of more debt without payment discipline. Future events that prevent the business making payments risks the collateral being seized by lender. 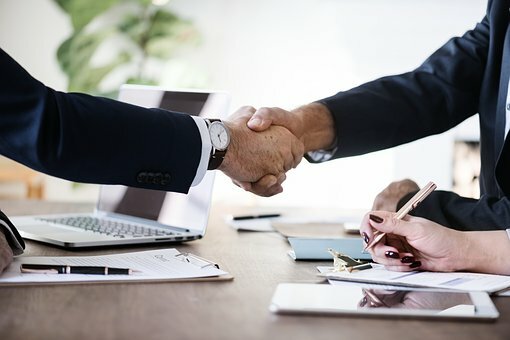 While some business owners prefer a secured business line of credit, it is important to remember that the pledged asset is at risk to the lender in the case of payment default. You should carefully review the lender´s contract terms and conditions prior to reaching a decision and signing. A unsecured business line of credit, on the other hand, does NOT require that the business provide the lender some type of collateral (asset) to offset the risk. The lender, therefore, must assume a higher level of risk. As a result, an unsecured business line of credit is a higher-risk for a lender and will offer your business less favorable terms (interest rates and fees). The lender has fewer options for recovering losses in the event your business defaults on payment. The lender, of course, will have legal recourse, primarily in the use of debt collection process or a legal suit in court. As the business owner you would also expect to suffer on your business and personal credit history, related to the delinquent payments and default on the business line of credit debt. No collateral requirements need to be met by the business. Less risk to the business owner, since no asset has been pledged to the lender. The line of credit is often open-ended, with no end of date requirements. Less flexibility due to lower amount of credit issued by lender. Less affordable due to higher interest rates and lender fees. More difficult for a business with poor credit history to obtain. Some business owners prefer an unsecured business line of credit, notwithstanding its disadvantages, primarily because the lender assumes the higher risk in case of a payment default. If your business future performance is historically uncertain and difficult to predict, an unsecured line of credit may be a valuable option to consider. Both secured and unsecured business line of credit are viable options for any business owner to consider. They are not mutually exclusive and your business may take advantage of one, the other or both at the same time. The secured business line of credit is more stringent in how used, offers higher loan amounts, lower interest costs and fees, with higher risk to the business due to the asset being pledged to the lender. If your business is using the additional capital for a future asset purchase, such as a building, equipment or inventory, this is probably a better option. The unsecured business line of credit is more open ended in how used, offers lower loan amounts, higher interest costs and fees, with low risk to the business since no asset is being pledge to the lender. If your business will use the additional capital for unforeseen future needs, this is can provide the business owner peace of mind with minimal risk. Your business profile, planned use for the additional capital and risk comfort level will help determine which type of line of credit is preferable for you.